There are tons of useful apps out there. But to money conscious people, like us, the most useful ones are the apps that pay you. 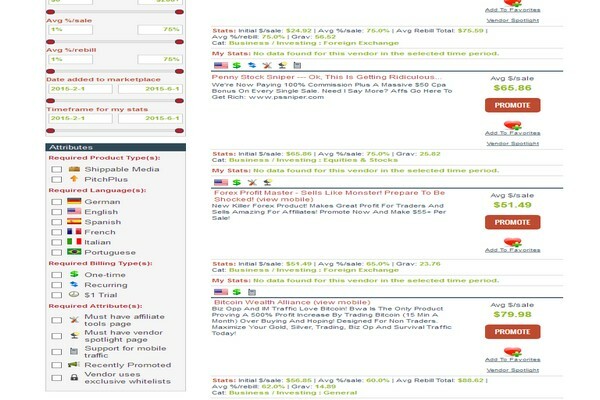 I have talked about getting paid to try apps where you join a site and earn money for downloading and testing new apps. 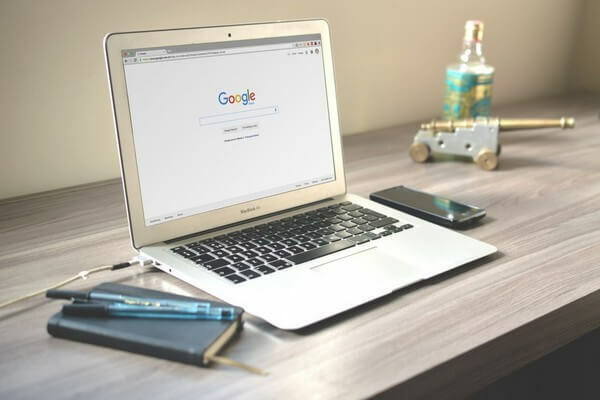 But today we’re going to talk about apps that will actually pay you for using them regularly, doing things you already do – grocery shopping, playing games, watching movie trailers and videos, etc. Here are some of the best apps that you can use to earn real cash and rewards such as gift cards. These are apps available only for iPhone& iPad both of which run on iOS platform. But I am sure we will see an Android version of them coming out pretty soon as well. This app connects individual buyers and sellers for jobs that need to be done. Users have to verify their personal information and connect to Facebook. Clients who need to hire local service experts provide their locations and the price they are willing to pay. You can initiate a two-way conversation to settle on an agreed price and the transaction method. Payments are made via PayPal or ACH transfer once a transaction fee is made for Zaarly. You can use this app to help stores and restaurants that want to decide on their next new location for opening. This way you earn cash or rewards. You will be participating in research that is location-based in your area. When you shop, you will be earning rewards if you allow the app to track you during your shopping. Answer questions such as why you skipped certain stores. You then receive location-based offers and coupons. This app pays you to report specific information on the places that you go. The jobs you get pay you between $3 and $12 each time. You as the “agent” will be notified when there are new jobs in your area. The first person to accept the job will have two hours to complete the job. This app provides assignments called “Shifts” and they include taking photographs, giving opinions and recording the prices of products. When you have completed several of the tasks, you get promoted and you are able to unlock the higher-paying assignments, among other perks. You get paid through PayPal but the process is within 48 hours. All you need to do is sign up for free services, watch videos on YouTube or talk about a product on your Facebook wall. You get to earn credits that can be redeemed via PayPal. Earn 100 credits for every friend who signs up with your referral link. You also get 10% of their earnings. You get access to thousands of tasks here while getting paid to do odd jobs and run errands for other people. To be a TaskRabbit, prepare of for a federal background check and also to undergo a video interview. Once you have reached $25 in your account, you can get a cash payout via PayPal or have the check mailed to you. These are apps available only for Android. But again, depending on how successful they become, we can expect the iOS version pretty soon as well. Earn money using this app to download and try other free apps that include new games. You also earn when you watch videos or take surveys. You are paid via PayPal or with Amazon gift cards. Use this app to earn money by watching video advertisements, downloading and playing new games. You also register on certain websites. These apps are available for both Android and iOS devices. If your resolution is to get fit and healthier, check out this app that helps you to commit to exercise. You use cash incentives with this app. Commit to the number of days you want to exercise and check in with this app the next time you hit the gym. When you fulfill your commitments, you earn cash rewards that are actually paid by those who did not work out. The rewards range from $0.50 to $0.75 per workout. You get to do fun things to get paid using this app. You only need to take photographs of displays at the stores, test mobile apps, do some mystery shopping or review delivery services. You receive notifications when there are new jobs available in the area. Payments of between $6 and $220 can be made via PayPal. Use this app to earn rewards via store check-ins, scanning various products and when you make purchases. You redeem your points for gift cards, music downloads, movie tickets and Facebook credits. You will also love the discount offers for certain stores. Set aside a minute to scan the bar codes when you check in at a grocery store. This app pays in rewards. You can also redeem points for iTunes and Amazon gift cards and Alaska airline miles. There will never be short of deals with the participation of thousands of retailers. Use this app to get paid to meet people. Install it on your phone and scan a QR Code when you meet up with a person. With the points you have earned, you can cash it out or make a donation to UNICEF or the Red Cross. Do you think you know your sports team well enough? You can test your skills by naming your predictions for each game. Also, make sure you get the most winning streak for the month. For a tougher challenge, predict for 10 different sports and try to maintain your streak. The most winning streak for a team or player will walk away with the monthly grand prize of $50,000. Preview video trailers of apps with this app and get points. Just watch the videos and get paid for it. Payments are made via PayPal or Amazon gift codes. This is an app that pays you for your opinion so this is your opportunity to voice out on what you have to say on a particular topic. You earn money each time you complete a survey. You can also share your opinion and view the results of other respondents. The first reward is $10 for the first 50 surveys answered as they pay $0.20 per survey. You get to play games or watch videos or complete surveys to earn the rewards. Earn more when you invite your friends to use the app. There are various rewards via Invites (3 levels) that come as gift cards for games, food, beverages such as coffee and movie tickets. Don’t just be a couch potato in front of the TV. Use this app to make some money! You get to earn rewards when you check in to your favorite shows the next time you sit down in front of the telly. Watch live TV that comes with real-time interactive questions, polls to take part in and also voting related to what is happening onscreen. Earn your rewards for Best Buy, Burger King, Fandango, and others. For more points, you need to play games, watch videos or take part in the quizzes. Now don’t throw away those grocery receipts. They can come in handier than you think. Use this app to get paid for taking photographs of your receipts and earn points for every receipt. You can redeem your collected “coins” for cash and donations. The data from your receipts are made anonymous and will be summarized in market research reports. To exercise and to achieve for that body shape that you strive for, you need motivation. Think no more and get this app which motivates you to work out by earning rewards. You earn points when you log in for at least 15 minutes’ of exercise. When you go to the gym or work out outside, check in with this app and have your phone on yourself so that it detects motion. The more points you collect, the better your rewards. The Panel App collects your location data for the purpose of analytics. This data is then pooled with data collected from thousands of other panelists to gives third party companies meaningful insight. You can also earn more points for taking surveys. Your points can be redeemed for Amazon and Visa gift cards, Cash Via PayPal, Google Play and more. This is another app that lets you earn cash when you go to places and scan the selected products. You can also earn cash when you take surveys or watch videos. Cash is obtained through its Jingit Visa debit card. You may begin with a $5 earning limit per week and then increase it to $10 if you share Jingit on Facebook. Sports fans should check out this app. This is a live social game that rewards fans when they watch sports shows on TV. You simply check in to a game on Facebook and play along with the action and win stuff after that. The rewards range from game tickets, gift cards to sports gear among others. Earn cash for your valuable opinions when you use this app. Take part in the surveys that pay from $0.25 to $5. They usually pay $1 though. Do not worry as your information is kept safe with them and protected. To use iBotta, you will have to select the products that you are buying when you shop. Then earn money by completing the tasks associated with the products you bought. The tasks could be answering a question on the product and earn $0.50 or read up one fact on the product and earn $0.25. You can also earn $1.25 when you put up postings on your Facebook page about the product. You then shop at one of the 35 listed national retailers. Snap a photo of your items and the corresponding bar code to verify your purchase. The iBotta app will then add money to your account. You can withdraw your earnings via PayPal or donate it to any school in the United States. This app allows you to link your grocery store loyalty cards and you get to enjoy some savings. After downloading the app, select the eCoupons you like to be linked to your cards. When you shop, use your card at checkout and money will be added to your SavingStar account. When you have saved $5, your options include PayPal, cash deposit into your bank account, Amazon gift card or make a donation to a charity. With this app, you earn reward points for taking part in market research surveys with your mobile device. The survey topics range from movies, technology to specific research panels. Every 100 points equal $1. What’s great is that you can get up to 450 points for some surveys. You redeem your points for cash or store gift cards. This is an interesting app where you need to take photos of food and fashion products and trends. All you need to do is take photos according to your assignment. It could be what you are eating for lunch, what you are drinking or the shoes you are wearing. You earn money for each photo. You then write a comment about your snapshot. This allows you to provide feedback to the manufacturer. You are paid via PayPal or receive free merchandise. You can also opt to donate to charity via UNICEF. Using some of these apps regularly can easily earn you a little extra spending money. 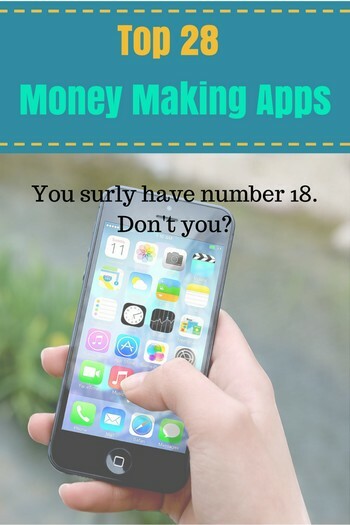 Who knows, maybe what you make from these money making apps will even help with your phone bill! Glad you liked it Ragi. Thanks for this. Now I can share more useful and profitable apps to my readers. This is a big help. Nice list. I also know of another app you can add to it, Goldcoin Bee. You should check it out. Thanks for the suggestion, Anna. You’re welcome. If you’re gonna check it out, maybe you can put my referral code in GET GOLD COIN? It’s “1314”. Have fun! Thanks Raja. Perk looks interesting. Thanks for the addition, Angela. I travel a lot…in fact that’s my job. Can u suggest me an app or survey which can help me earn some money while i travel. You can use any of these apps. That’s whats great about apps on general–as long as you have your device with you, you can use them anywhere. Nice little list but you are wrong about some of the I phone exclusive apps. Field agent and easy shift are in the google play store which means it available for Androids. Thanks for the heads up, Nicole. When the article was written those apps were not yet on the android platform, but seems like they are now. Thanks for the heads up, Michael. Have you reached the cash out limit? If so, how long did it take to get your money? Yes, these app all do pay. Although I am not sure if they accept international users. Is there any of these apps that can be used and pays off to people outside USA?, I’m in Colombia South America. Sergio, I am sorry, I don’t know of any. Have you tried looking in the app stores? I have been making money using phone apps for years. Another app worthy of the communities consideration is featurepoints. Simple, safe, reliable, and well rewarded. The lock screen apps aren’t scams (at least the few I know). They actually make their money from the ads you see on the screen. I haven’t heard of any case where they scammed user’s contacts. Nice list… can you put one together for Windows phones? Sure, Mel. I’ll put it on my to do list. In the mean time, remember, some (not all) of these apps may also have a version for Windows. I don’t think many do. But I am not sure. Just to be sure, I would suggest you check with each individual company. Well written. What about “Earn Money-Video & Apps”? I’m not sure hat you mean, Kazim. Will you explain?